Santana Equipment Trading Company is expanding company operations to Phoenix, AZ due to company growth and business opportunities. Chicago, IL – October 16 – Santana Equipment Trading Company, the premiere industrial material handling organization specializing in sales of used forklift trucks to national and international businesses is expanding company operations to Phoenix, AZ. Current headquarters are based in the Chicago area. Santana’s recent growth and expansion has allowed the company to make a major management decision to increase business opportunities to accommodate the growing demands on the company with current and future customers. Established in 1999, Santana is a wholesale/retail purchaser and reseller of used forklifts. Santana Equipment Trading Company provides financial institutions, lease companies, Fortune 1000 companies and equipment dealers with appraisal values, quick sales and fair market pricing. 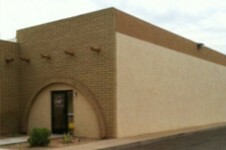 The Phoenix location will offer a wide selection of inventory thoroughly inspected by certified mechanics. Stock items will include top makes and models all offered at competitive prices. The on-site staff are experts in their field, with over 30 years combined industry experience. Santana Equipment Trading Company is known as a “one stop” source if you are purchasing your first lift truck or just adding to your fleet. Santana will make sure you know how to fully operate your equipment, know where it is to be serviced, how to obtain a forklift operator’s license and have it safely delivered to your facility.